5th grade parent volunteer jobs: paperwork shuffle help in the equipment room with Sportfolios, assistance with skateboarding class instruction (40 min. classes), volunteer for balance board & inversions instruction (10 minutes sections throughout the year), researching inspirational 3 minute videos for athletic motivation, volunteer for invasion sport assistance - ultimate frisbee, handball, football, basketball (40 min. classes), assistance with yoga & parkour instruction. PE is on Tuesday for Ben's HR and Friday for Joy's HR for the first 2 trimesters from 9:10-9:50. 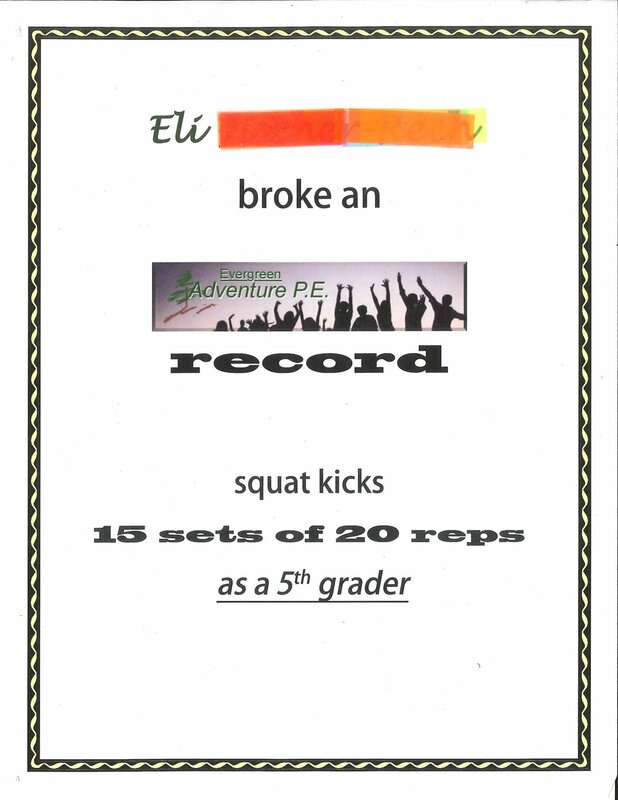 Fifth grade power target: I can create and implement a personal fitness, adventure, and wellness plan with weekly/annual goals. If you've ever researched tips from highly successful people, you will surely see a theme about tracking habits. Making goals is a great step - even better is creating a lasting routine. If you can win the battle of the bed, and exercise in the morning, you will likely be alert and productive throughout the day. 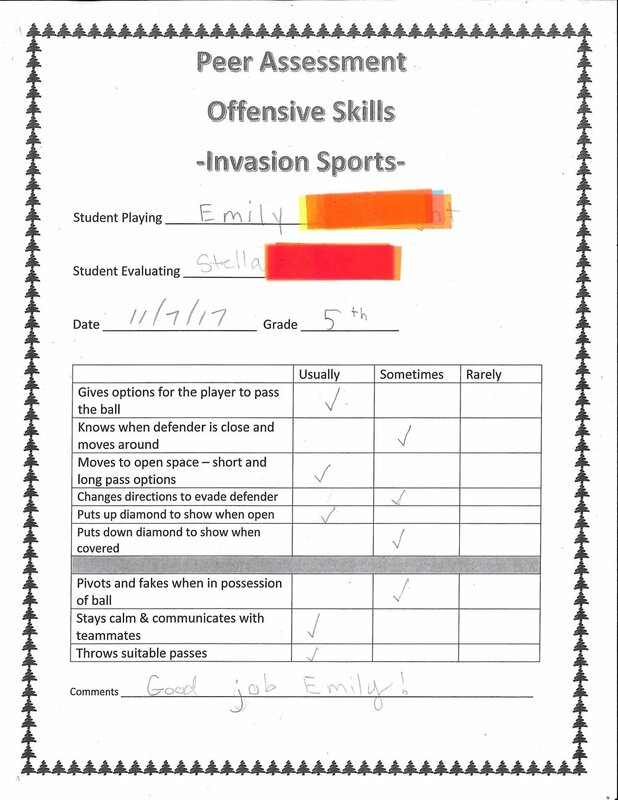 During sections of this school year, we focus on invasion sports in small-sided games. Any game where one team needs to "invade" the other side in order to score is called an invasion game. Basketball, hockey, soccer, handball, ultimate, football, rugby - they all share very similar principles. Once a person learns the fundamentals of creating space, moving to open space, and defending area coverage, they can translate it to any of these sports. The basics of the game Ultimate Frisbee can be translated to learn almost any invasion sport. We start with these rules when introducing football, handball, and basketball. We have Design Principles in EL Education that guide our practice. Learning how to compete with our personal best is a very large emphasis in Adventure PE. We also acknowledge that some students take this lesson to an exemplary status and we leave a placeholder in our Sportfolios for honorary recognition. We make it a point to analyze the qualities of sports and athletics. We say, if the activity keeps your heart rate in a target zone for a long period of time, it's a sport. Which sports do we see grandparents doing? Why do those last so long? Your breathing is deep and rapid. You develop a sweat after only a few minutes of activity. You can't say more than a few words without pausing for breath. Good things come to those who sweat. It is imperative at this age to feel proud when your body is reacting to a workout! During yoga, gymnastics, and parkour we work on our FITT principle training. 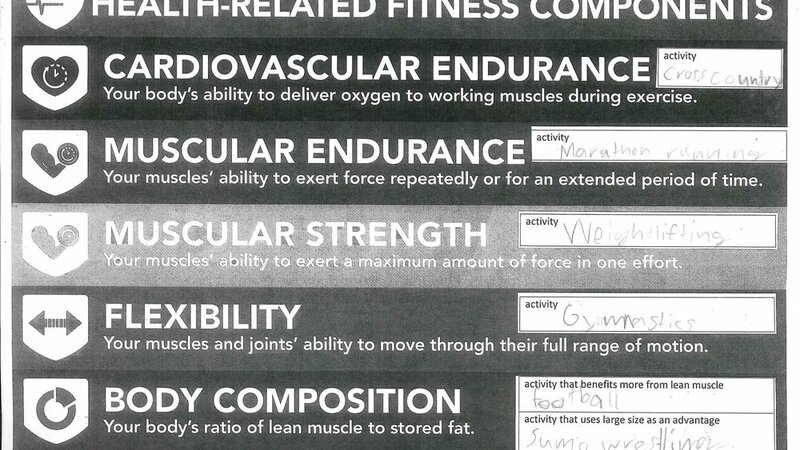 These rules relate to the Frequency, Intensity, Type and Time (FITT) of exercise. Studies show that exercise partners stay motivated longer. When a friend or classmate gives us compliments, we tend to reach a little further for our goals. With peer assessments, we have already learned the curriculum and are helping each other to practice the techniques.